Our 2002 gets some work to make it a safe driver. 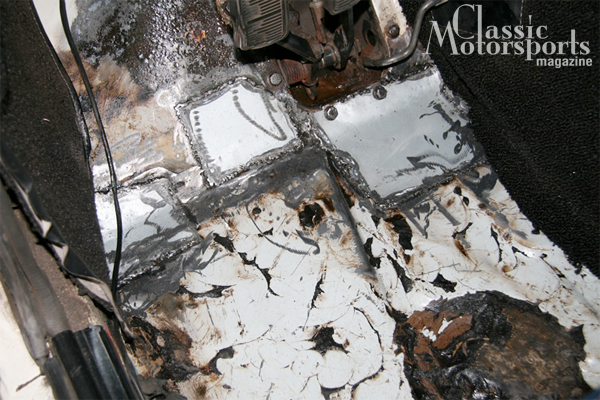 The floor was pretty rusty right around the gas pedal thanks to a master cylinder that had leaked in the past. We welded in new steel to form a nice, solid floor. 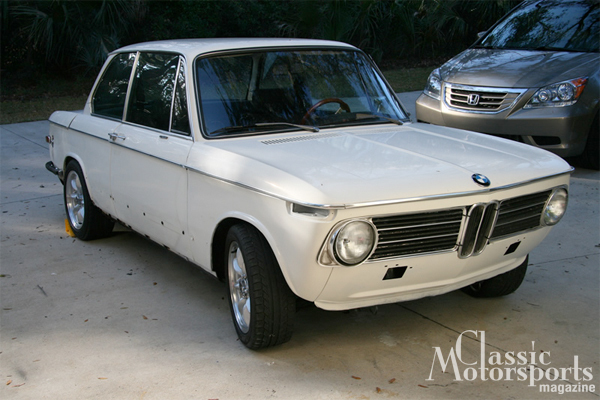 The first part failure on our BMW 2002tii wasn’t really noticeable at first. The gas pedal seemed to become a little floppy after our first few trips around town. 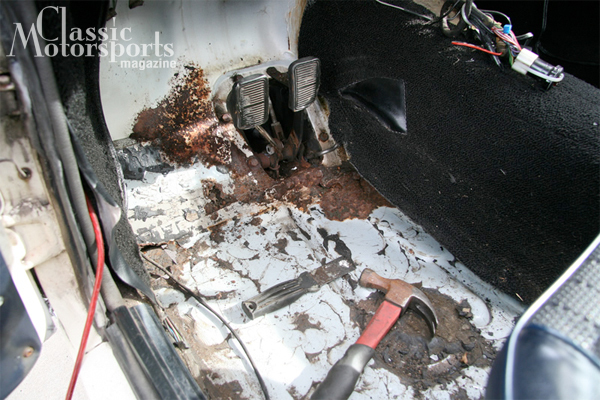 We finally realized that the bottom of the pedal—where it’s hinged at the floorboard—had become detached due to rust. We took out the carpets and surveyed the damage. Thankfully, it was limited to just a few flat sections of sheet metal, including the bottom pivot point for the gas pedal. We cut out the old sections of floor and welded in new pieces of flat 22-gauge steel. We created the pedal pivot with new ball studs and a section of thicker steel. While we’ve got plenty of other areas of rust to attend to, we just wanted to make the car safe to drive. So that’s where we’ll stop—for now.